On October 14, one of Arizona's most unique athletic events celebrates its fifth anniversary. 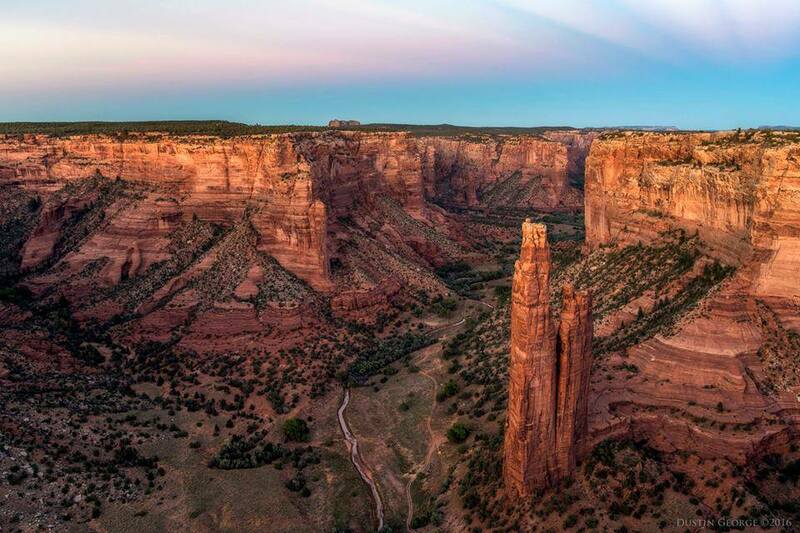 The Canyon de Chelly Ultramarathon takes runners 55 kilometers through the heart of the national monument that shares its name. Despite the length of the run and its out-of-the-way location, demand is high. Last year, registration traffic for the 2016 run caused the organizer's website to crash, and this year, the race filled up in just a few minutes. Generally speaking, an ultramarathon is any run that goes farther than the marathon distance of 26.2 miles — and, although it seems extreme, thousands of Americans take part in these runs annually. What makes the Canyon de Chelly race unique is that it crosses through the national monument. Runners work their way through the canyon over miles of sandy trails, across dozens of streams and past ancient stone houses built in the cliffs by the Ancestral Puebloan people. Most visitors to Canyon de Chelly see the ancient dwellings from one of three viewpoints along a scenic drive on the rim of the canyon. To get a closer look at the 5,000 years of history at the floor of the canyon, including the stone structures and rock art, guests may hire a registered guide. The race is one of the few opportunities that non-Natives will have to enter the canyon without a guide accompanying them. Prior to past races, runners have received an orientation from a park ranger and a tribal elder. The race is the brainchild of Navajo runner Shaun Martin, who told racers and a reporter from the Deseret News that the idea for the event came to him on a long run. While striding alongside a herd of horses, he realized that he could champion a race through Canyon de Chelly. Martin had unique qualifications to found the race. He's an exceptional runner who competed at the college level and has since gone on to place at a number of ultramarathons. Martin also coached cross-country running at Chinle High School, where he fostered a number of elite runners who went on to earn college scholarships in a region where many students struggle to find opportunities for post-high-school education. Proceeds from the ultramarathon have been used to provide these Chinle students with shoes, uniforms and even textbooks. The intangible benefits of the race may be even greater. The ultramarathon honors an ancient tradition of running in the Navajo Nation, and the event itself is draped in ceremony. In the past, Martin has ushered in the start of the run with a story and prayer. Finishers and winners are rewarded with mutton stew, fry bread and locally made artisanal goods like turquoise necklaces, moccasins and blankets. Runners will tackle a challenging course complete with a 1,200-foot climb out of the canyon. If you'd like a less strenuous visit to Canyon de Chelly, try hiking the national monument's trails or taking the scenic drive. To learn more, visit the monument's website.